Thanks to Facebook, Twitter, and Tumblr, cat photos and rants from angry aunts appear in the same feeds as shared recipes and world news. Sulia is changing that by introducing subject-based “channels” where users can consume media about a single topic like technology, politics, or food. Moving away from a single crowded feed towards multiple focused feeds has the potential to be helpful to readers, publishers, and advertisers alike. 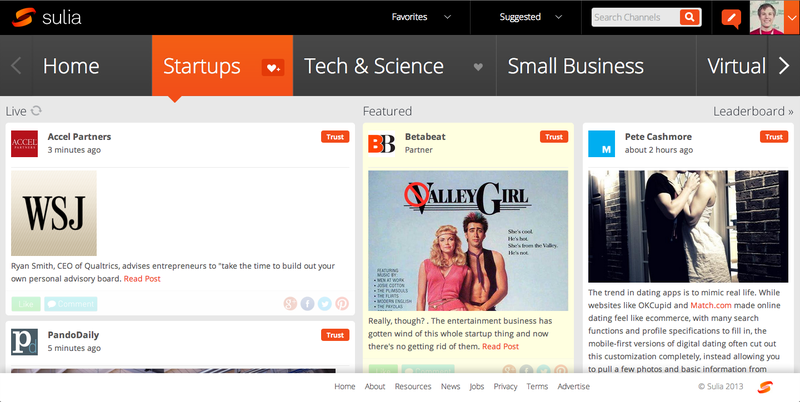 Pronounced “soo-lee-uh,” the company aggregates news in a style similar to Prismatic, but Sulia has significantly more traffic. Sulia reported a user base of 10 million users when it announced a $1.5M Series A in September of 2012 and has since, by our measures, more than doubled their traffic. Sulia’s VP of Editorial & Expert Operations, Josh Young tells me they’re on track to hit 15-20 million uniques by the end of the year. 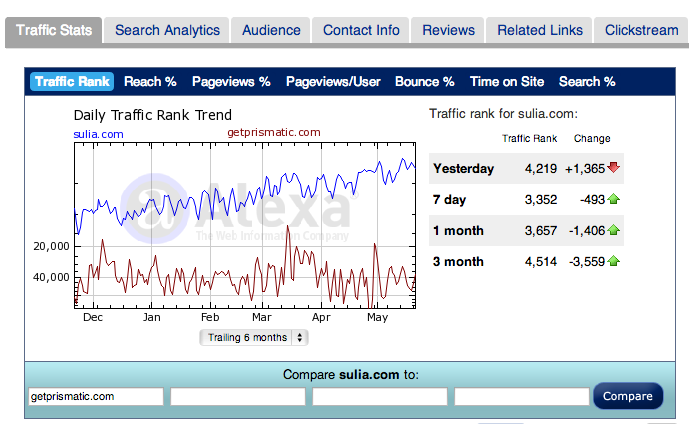 Young emphasized that Sulia’s burgeoning traffic is now driving significant traffic to publishers – 100k monthly uniques to TMZ, 60k to Huffington Post, and 50k to ESPN to name a few. 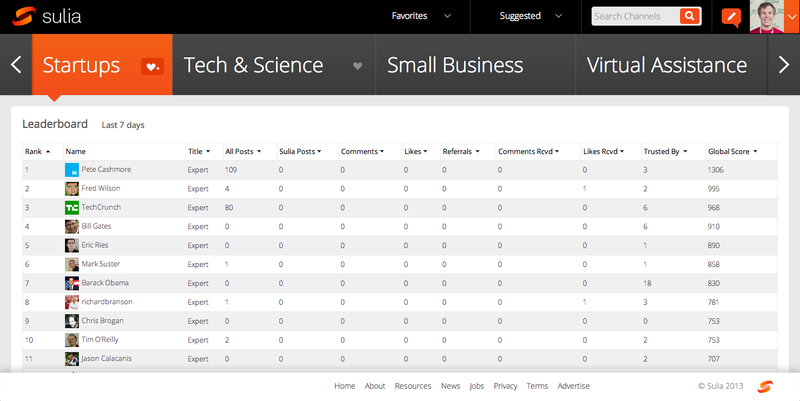 With distribution power like that, publishers would be wise to turn their attention towards getting their content on Sulia. Twitter lists might seem like an odd place to start on the surface, but Sulia and Twitter lists have been inseparable since their inception. Initially founded in 2009 as TLists, the company helped Twitter build and manage its lists feature prior to Twitter’s redesign in September 2010. 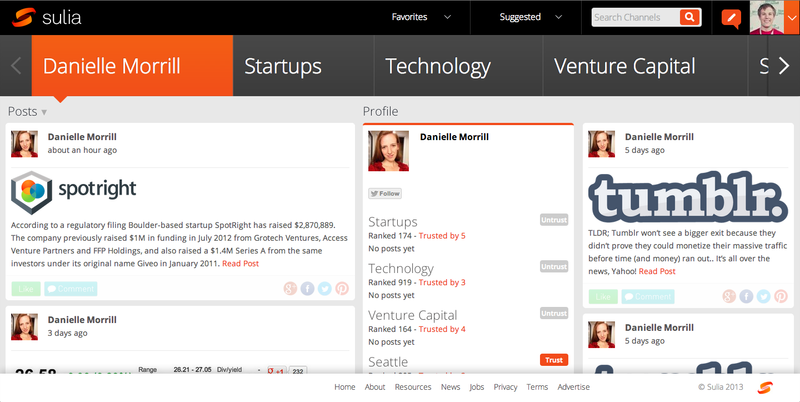 After that, the company pivoted to become Sulia. With the rise of native advertising on sites like BuzzFeed it isn’t surprising that Sulia is experimenting with this format as well. 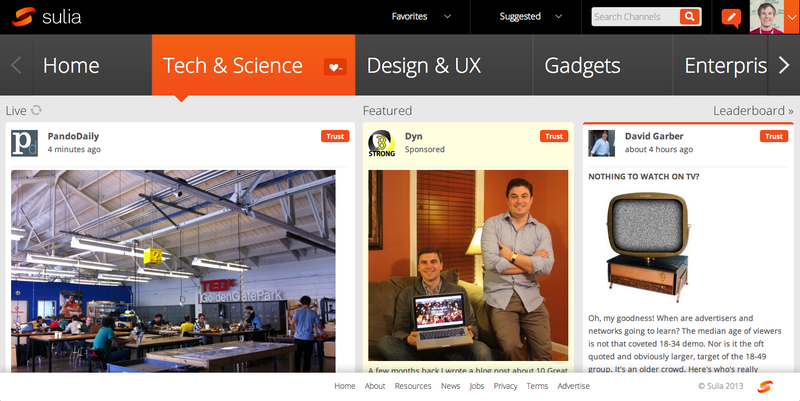 Content from sponsors like Dyn, as seen below, utilize Sulia’s existing layout and story format. Driving hundreds of thousands of hits to publishers and itself seeing unique visitors in the tens of millions with no plateau in sight, Sulia is on track to become a major player in business of online publishing, and potentially a model for advertising as well. In our interview, Young said their focus in the coming months will be refining and improving their core IP, the “trust graph” in the interest of building a more useful tool for readers, publishers, and advertisers alike.